See reservation information clearly summarized on one page. All the information you need, easily accessable. Search for an existing contact, or type in new guest information. Easy access to guest's reservation history. Multiple room reservations, no problem. With ReservationKey, changing reservations couldn't be easier. 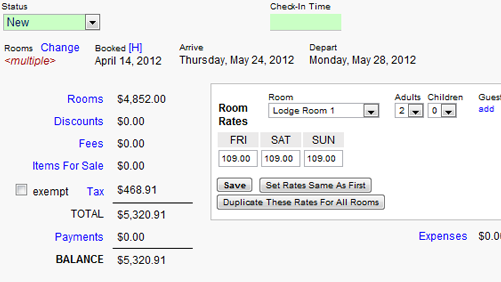 Whether you need to adjust dates, add/remove rooms, track expenses, or edit prices, all are just a click away. Each section of the reservation is clickable. Shortcut buttons make it easy to change rates quickly. Add discounts on the fly by clicking the Discounts link. Track commissions using the Expenses section. Charge credit cards with one click. 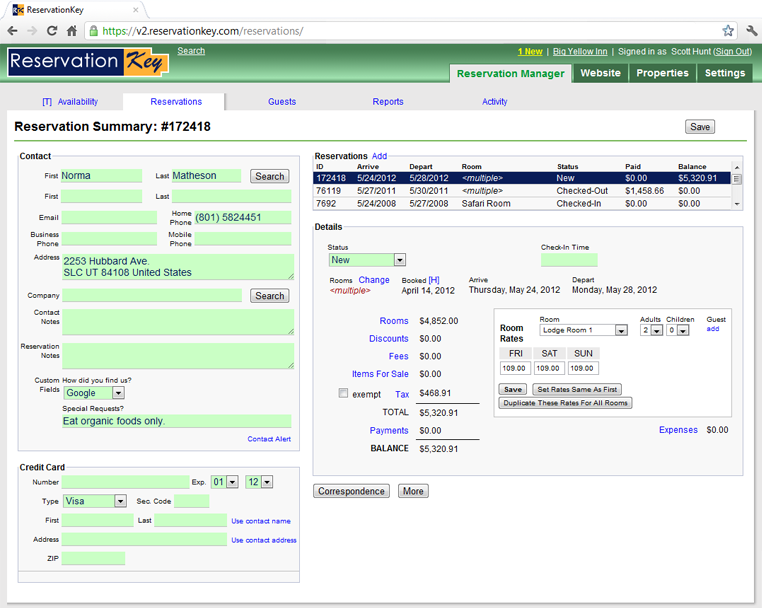 Using one ReservationKey's integrated payment options, credit cards can be charged by clicking a button. 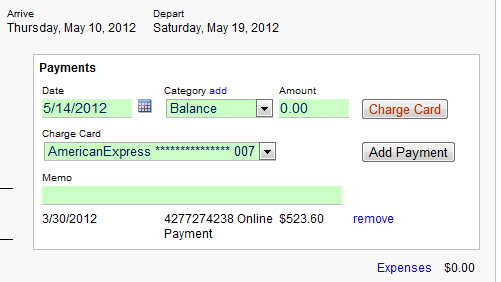 Refund payments with one click. 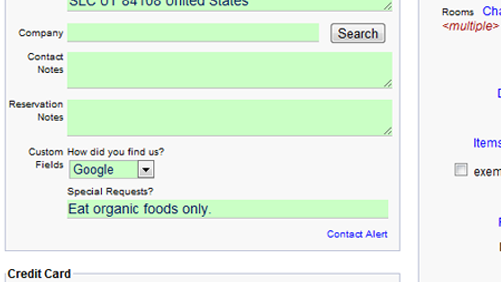 Add you own fields to the contact form. Custom fields can be set to appear only internally, or also on public reservation pages. You're on number 2 of 24 reasons to use ReservationKey.